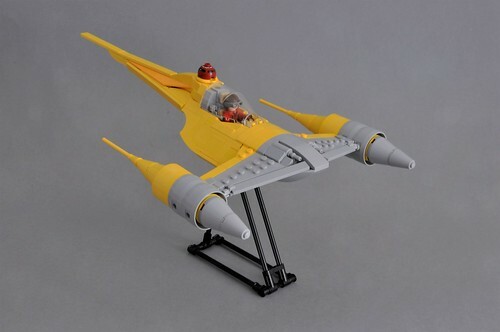 Inthert is possibly my favorite Star Wars vehicle builder out there. He truly takes the time and looks at all possible LEGO elements to make something as accurate as LEGO allows. 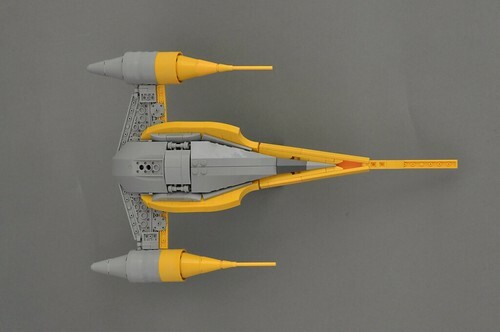 This new version of the common Naboo fighter seen in the Phantom Menace is excellently crafted, every curve and detail (such as the front cannons). The astromech droid head is incorporated nicely, as is those much needed extra details in the cockpit area. Even the bottom, where details are usually lacking, looks good on its own, which is no easy task! I'm sure most builders are afraid to show the underside of their starfighters, but not here.